Work tools and practices have evolved significantly since 1934. Learn more about how we moved from cutting turf sods and digging drains by hand, to mechanised methods, and how they developed through the years. Since its early days, Bord na Móna has been at the heart of its local communities - particularly in the midlands. 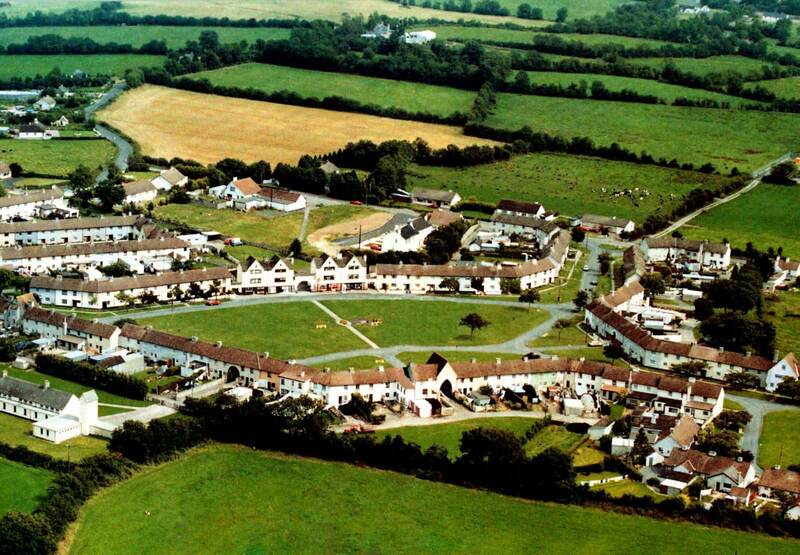 The Turf Development Board initially built hostels for the thousands who worked on the bogs, and eventually employee housing and villages were built. Originally peatlands were regarded as wastelands, to be reclaimed as valuable agricultural land and were later seen as a fuel resource. They are now regarded as distinctive and valuable habitats. Early in the 19th century interest grew in developing Ireland’s bogs commercially for fuel. In 1934, the Turf Development Board was established and given the role of developing Ireland’s peat resources. Bogs have been a part of Irish consciousness for centuries. They have inspired poetry and art, provided a window to the past and a home for wildlife. Bord na Móna employees have found practical and innovative solutions to the many challenges of the workplace, economy and outlook throughout the company’s history. Learn about how they built parts for machines, developed new products and processes, and established international connections. The experiences of Bord na Móna employees have helped shape our story. Listen to them here. Custom and new equipment has been a big part of our development. Have a look at the equpiment we have used.